. May PC, Willis BA, Lowe SL, Dean RA, Monk SA, Cocke PJ, Audia JE, Boggs LN, Borders AR, Brier RA, Calligaro DO, Day TA, Ereshefsky L, Erickson JA, Gevorkyan H, Gonzales CR, James DE, Jhee SS, Komjathy SF, Li L, Lindstrom TD, Mathes BM, Martényi F, Sheehan SM, Stout SL, Timm DE, Vaught GM, Watson BM, Winneroski LL, Yang Z, Mergott DJ. 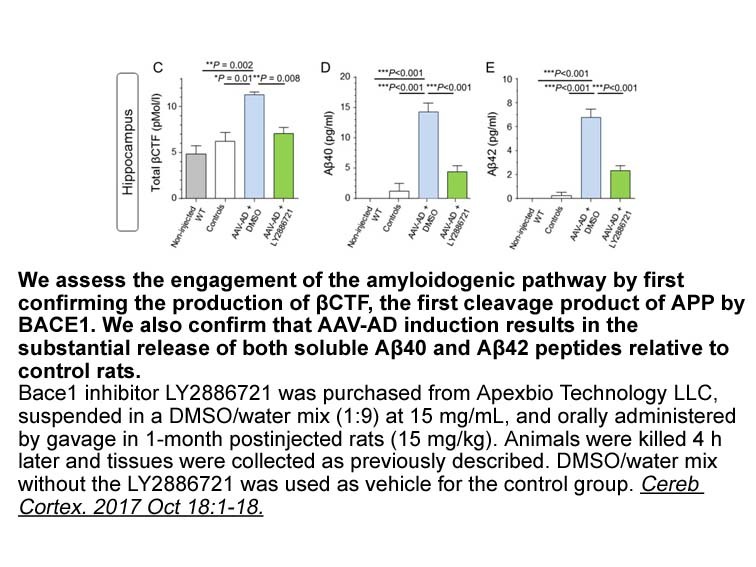 The potent BACE1 inhibitor LY2886721 elicits robust central Aβ pharmacodynamic responses in mice, dogs, and humans. J Neurosci. 2015 Jan 21;35(3):1199-210. 1. 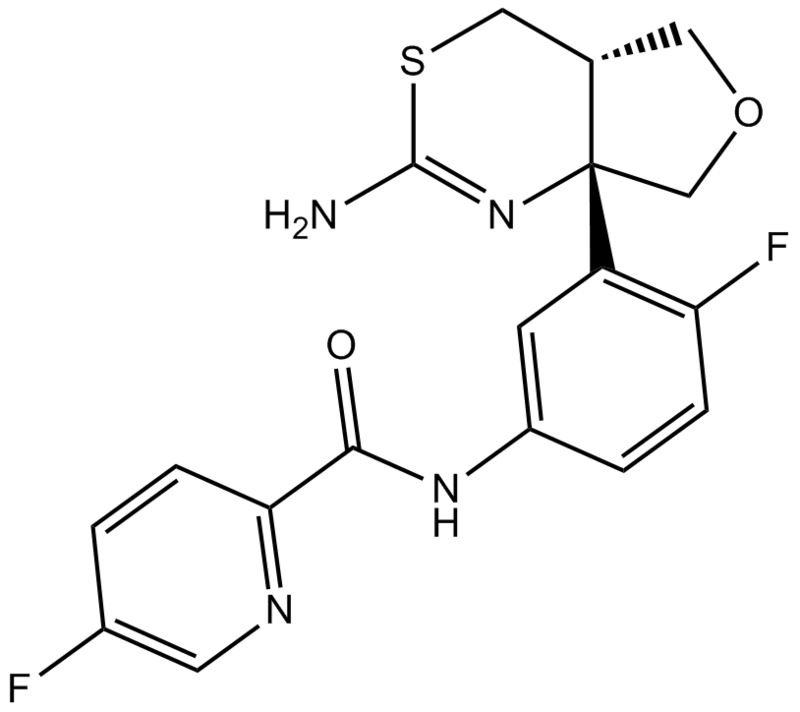 Vassar R. BACE1 inhibitor drugs in clinical trials for Alzheimer's disease. Alzheimer's research & therapy. 2014;6(9):89. 2. Nishitomi K, Sakaguchi G, Horikoshi Y, et al. BACE1 inhibition reduces endogenous Abeta and alters APP processing in wild-type mice. Journal of neurochemistry. 2006;99(6):1555-1563.